Come walk the streets and hidden alleyways of the river town that reinvented itself after the "boom and bust" days of the 1920s. Welcome to Bradenton! Learn how a river town survived a Union blockade during the Civil War and lean years during the Depression. Join us and explore 1890 brick buildings still in use and an Italianate Revival hotel Clark Gable and Al Capone visited in the 1920s! Step into a cool Art Deco Arcade that is known for its original wrought iron architectural details. 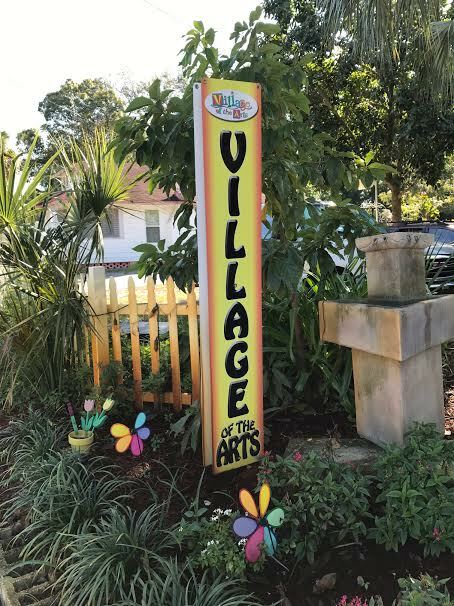 Nearby expect to be intrigued by the artists community called The Village of the Arts. 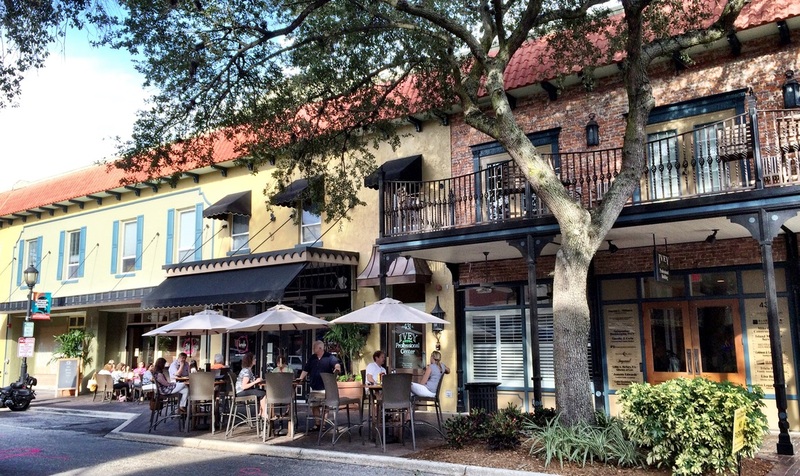 Stroll the streets, meet the artists and see why we are known as The Friendly City. It's Fall in the Village of the Arts! Join me for History and Shopping Tours on Fridays, 10 :30 AM to Noon. Then sip a cold drink over lunch at one of the chef owned cafes known for Italian specialties or gourmet tacos! Reservations are required for Friday tours, or by special request. 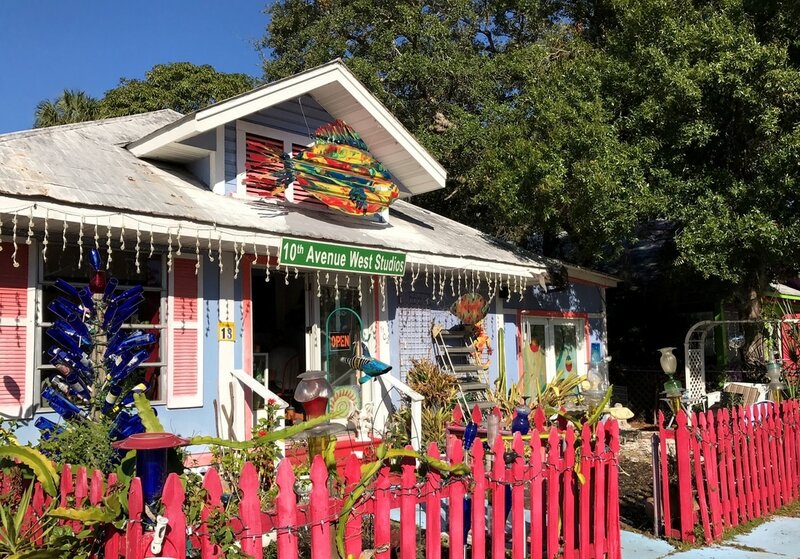 It's an Insider's Tour of bungalows built in the 1920s and 30s that have been restored as eclectic galleries and shops. From the visual arts, jewelry, and art glass to whimsical re-purposed creations, you will probably find something to take home. You will also be inspired by the stories of how the artists and businesses transformed this once neglected neighborhood. Special group discounts for groups of 5 or more! Go to: Facebook.com/Bradenton Walking Tours to see more photos. When rivers were Florida's highways, early settlers were sailing men, cattlemen, farmers and citrus growers. Residents used small sail boats for transportation. Bradenton was named three times - but always for the same man. - Joseph Braden. He built a stockade around his home to protect his family and their neighbors during the Seminole Wars. Roads were rough and full of hazards in 1910. Until a bridge was built in 1918, the fastest way to Tampa was by steam-powered ferry from the dock on Main Street. Most downtown businesses had a second story balcony for catching the cool breezes off the river. The artists changed everything in this neighborhood three blocks from Downtown.